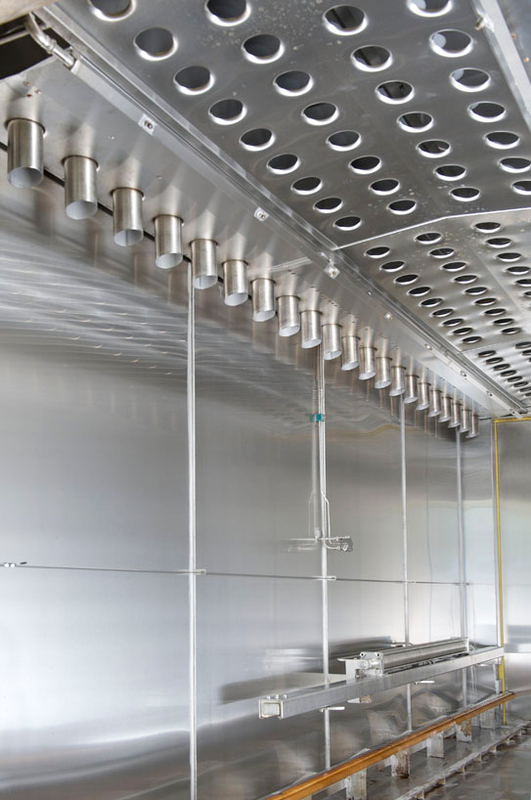 The smoke chamber with intensive cooling is constructed for drying, smoking, boiling and cooling sausage, bacon and similar products. The cooling takes place in a separate section of the cabinet. Between the two sections, trolleys are being transported automatically. The equipment consists of an all welded chamber with forced air circulation guaranteeing an evenly heated and smoked product. 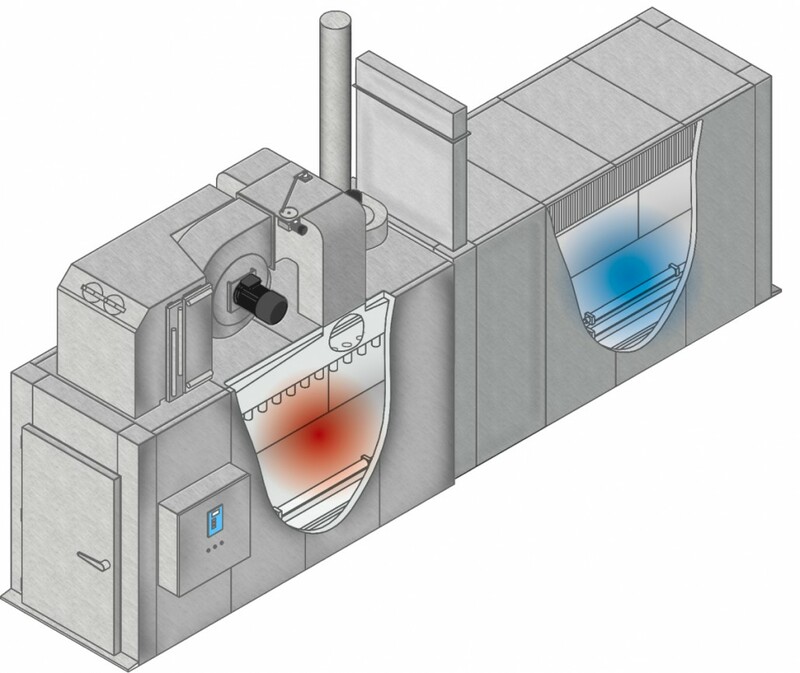 The entire smoker and cooler connected together – ensures a smooth transaction between the smoke chamber and the cooling chamber. The smokehouse itself (as seen below) is where the product gets heat treated, smoked and the products gets their flavours. Constructed to cool down the product after smoking and cooking before it is transported to packing or refrigeration. The cooling process can be done using water and air or brine. 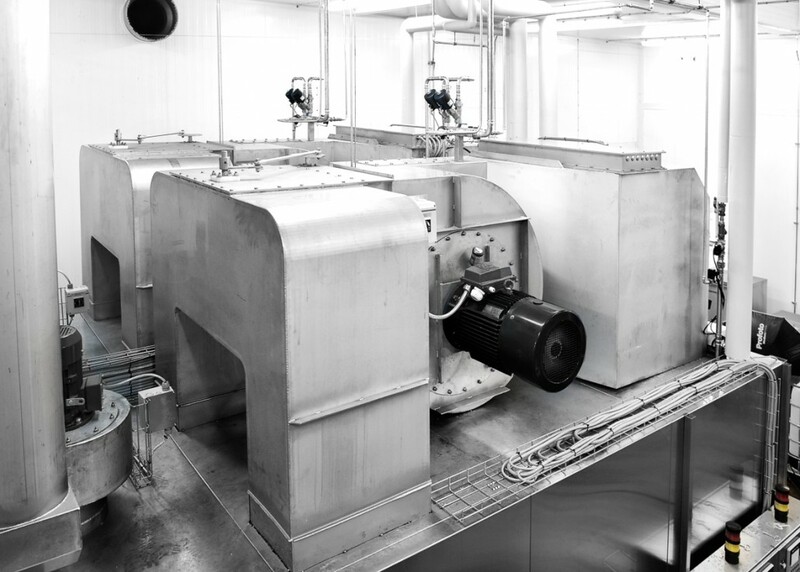 The complete unit comes with an automatic transportation setup that takes the products from the smoke chamber to the cooling chamber when each process is completed, ensuring a 100% time efficiency for the entire production. 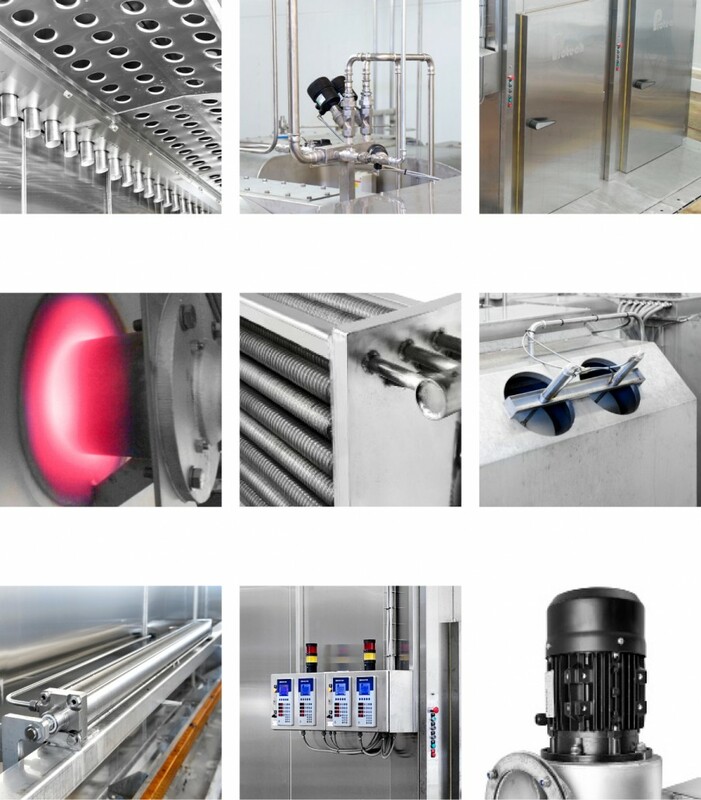 Download product facts about Semi continuous smoker/cooler.